Attention Architects: Simplify your continuing education. Earn USGBC and AIA credits at the same time! All our AIA continuing education courses are approved for the Health Safety, and Welfare (HSW) credit. Get the latest info on sustainability, LEED best practices, and emerging green building technology. Did you know you can maintain your LEED AP credential with AIA Continuing Education Courses? We know you are busy designing a greener and healthy built environment. Keep it up! Let us help you fulfill AIA Continuing Education Courses with ease. 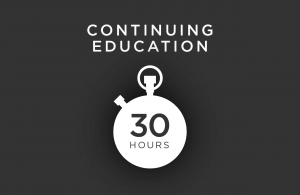 When you use GBES’s continuing education bundles, GBES assures you that all the time spent counts for both USGBC and AIA learning objectives. Don’t waste your time chasing individual courses, double up and consume courses that count for both credentials. Join our monthly live webinars to get a feel for our presentation style and level of expertise. By signing up for our newsletter, you get reminders of new webinars. Have a specific need not covered here? Please reach out, we love to hear from our community.